I hate to interrupt a good brawl. But, while politicians and Supreme Court justices debate how, and at what level of government, to halt the national crisis of illegal immigration, it might be worth considering whether the crisis has, um, passed. The Pew Hispanic Center recently issued a report stating, “[T]he net migration flow from Mexico to the United States has stopped and may have reversed.” The report got some pickup in the press but not nearly as much as you might think. When we talk about immigration, we are talking often about Mexico, because it accounts for the largest proportion (30 percent) of America’s 40 million immigrants. (China places a distant second with 5 percent.) And, when we talk about illegal immigration, we are talking mostly about Mexico, because it supplies fully 59 percent of America’s estimated 11.5 million undocumented immigrants. (Here, El Salvador places an even-more distant second with 6 percent.) Most of the Mexicans who migrated to the United States during the past four decades arrived here illegally (though many subsequently acquired legal status). Why weren’t Pew’s findings a bigger news story? Possibly because they were old news. Net migration flow from Mexico has been declining since 2006. The number of undocumented immigrants residing in the United States—which more than doubled (indeed, may have quadrupled) between 1980 and 2000—peaked in 2007. Since then, it has been falling. This is mostly attributable to a drop in the number of undocumented Mexicans, from 7 million in 2007 to 6.1 million in 2011. An obvious question to ask is whether net immigration flow from Mexico to the United States will rise again once the U.S. economy more fully recovers. If it does, then perhaps the crisis (if it is a crisis) won’t have passed. But it’s hard to imagine a sustained increase over the long term. After all, the decline in immigration began a decade ago, and the U.S. construction boom that prevailed during the first half of that decade did strikingly little to reverse it. Another reason to doubt the recession’s importance in reducing net migration flow is that the recession was considerably worse in Mexico than it was here. Mexico’s economy is heavily dependent on U.S. investment and trade, so, when Uncle Sam catches a cold, Mexico catches pneumonia. In 2009, Mexico’s GDP fell at more than twice the rate it fell in the United States. Since 1970, when the U.S. Mexican-born population first began to rise sharply, the United States experienced five other recessions. During none of these did the migration flow halt or reverse. What about stepped-up border policing? 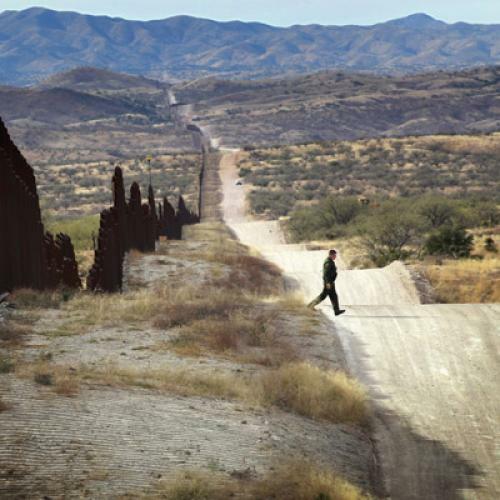 It’s true that the federal government has, since September 11, 2001, increased deportations. It has also, since the early ’90s, vastly increased the number of American agents patrolling the U.S.-Mexico border. Forcible removals of undocumented Mexican immigrants clearly played some role, since between 2005 and 2010 these increased by about two-thirds. But, during that same period, the Border Patrol caught steadily fewer undocumented immigrants at the border. That’s probably because there were steadily fewer undocumented immigrants to catch (and had been since 2000). If the U.S. recession and stepped-up deportations probably weren’t decisive in reducing the number of illegal immigrants, what was? Very likely, societal changes in Mexico. The most dramatic of these is the shrinkage of what might be called the fertility gap. In 1960, Mexico’s fertility rate was 7.3 children per woman, which was more than twice the U.S. fertility rate. By 2009, Mexico’s fertility rate, at 2.4, was only slightly higher than America’s (2.0). As a result, the proportion of Mexico’s 15- to 39-year-olds (those likeliest to emigrate) has shrunk from 73 to 65 percent of Mexico’s working-age population. Literacy is also up, from 83 percent of all Mexicans 15 and older in 1980 to 92.4 percent in 2010. That’s significant, because Mexicans who migrate to the United States tend to be the least educated. Fully 60 percent of those 25 and older lack a high school degree. Meanwhile, Mexico’s economy has grown more robust, thanks in part to the 1994 North American Free Trade Agreement (NAFTA). Although Mexico’s recession was more severe than America’s, it was much shorter in duration. In most recent years, its GDP has been growing faster than America’s. Ross Perot famously predicted in 1992 that NAFTA would create a “giant sucking sound going south” as U.S. manufacturing jobs shifted to Mexico. He wasn’t entirely wrong; by one estimation, rising imports from Mexico displaced nearly 700,000 U.S. jobs. But employment in Mexico rose, and that eventually translated into falling migration to the United States. You can worry about America’s rising trade deficit with Mexico, or you can worry about uncontrolled illegal immigration, but it doesn’t make sense to worry about both at the same time. NAFTA has not, for a variety of reasons, enriched Mexico nearly as much as was hoped. Partly that’s because the removal of Mexican tariffs lowered agricultural employment, and partly it’s because NAFTA’s enactment coincided with a peso crisis in the mid-’90s. Mexico’s pathologically violent drug war has surely taken a toll as well. But these setbacks suggest that we can expect Mexico’s economy to grow more rapidly in the future. The peso crisis ended more than a decade ago, Mexican agriculture has already taken its hit, and Mexico’s drug lords, terrifying as they are, will eventually be defeated. For years, liberals said that the best way to reduce illegal immigration was to help the countries being fled to flourish economically. Now it’s starting to look as though they were right. Timothy Noah is a senior editor at The New Republic. This article appeared in the May 24, 2012 issue of the magazine.